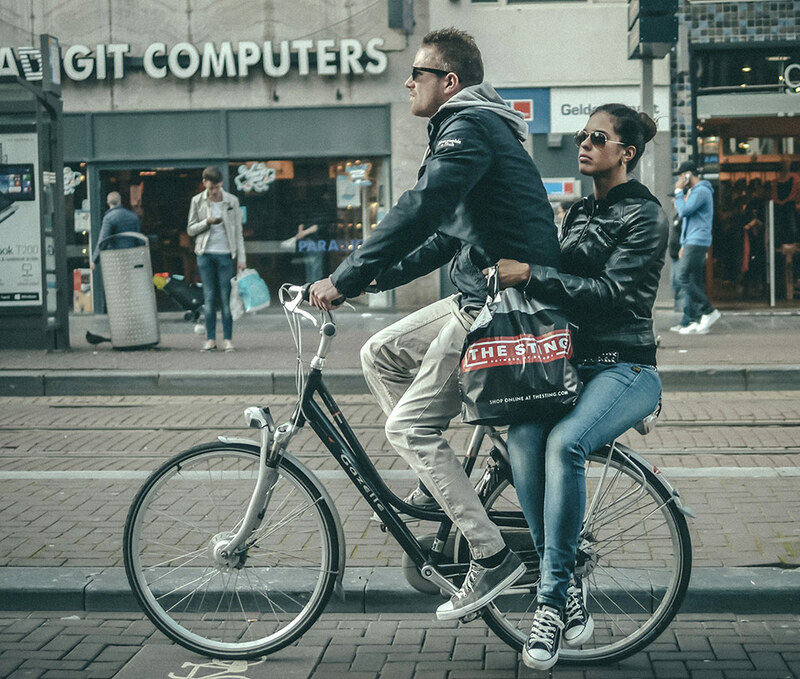 Riding a bicycle in Amsterdam often feels like an amusement park ride. The best part of it is admission is free. 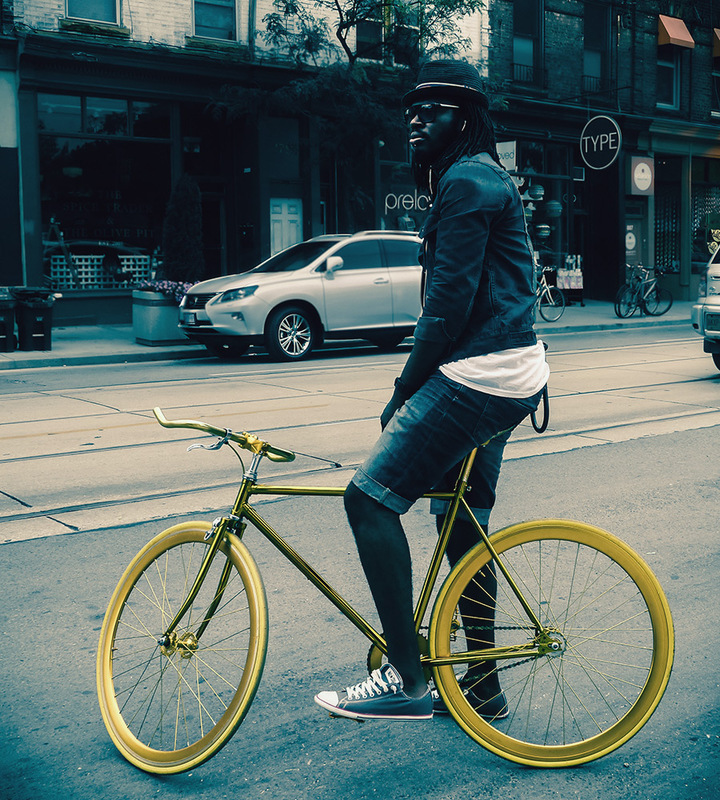 Contrasting my experiences of living in Toronto, here are twelve observations from my first year of rolling in the bike lane. 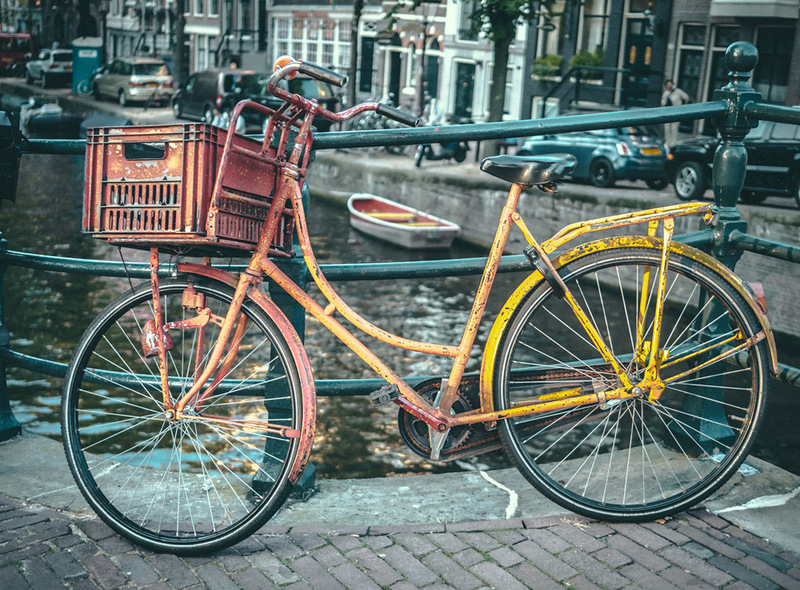 In Amsterdam there are more bicycles than people. 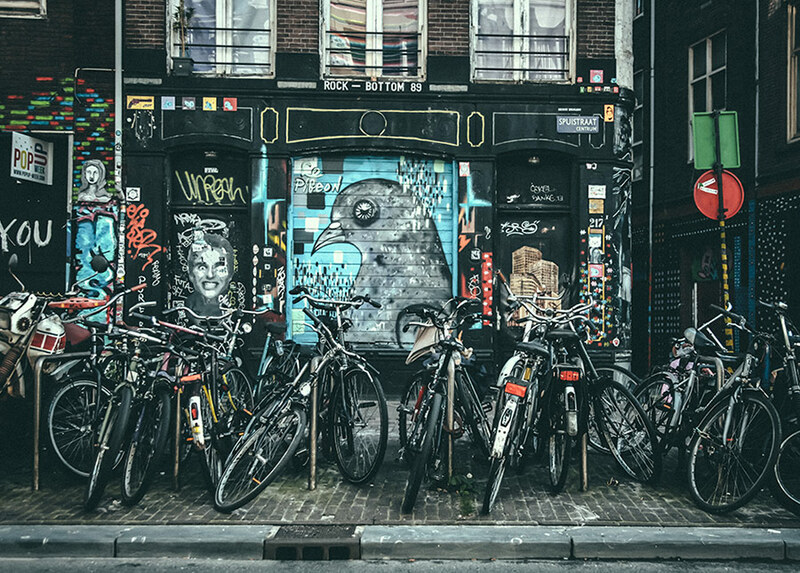 The average resident owns 1.5 bikes and with an urban population of over 1.1 million people, it’s impossible to turn your head and not see a bicycle. With over 60% of trips made by bike within the city core, rolling wheels can give the impression of blood pumping through a giant organism. But when they’re not moving, the impression can feel quite different. Though there are plenty of parking solutions, it can be difficult at times to find a spot at a train station or even on a quiet street in the suburbs. 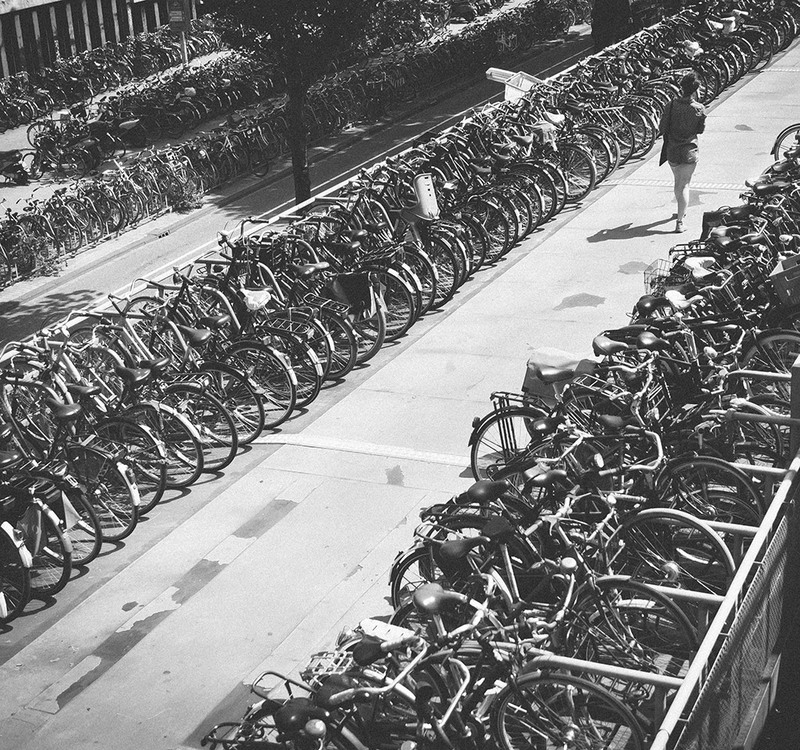 15% of all bikes parked outside aren’t being used, while 60% of all unused bicycles are found in the inner city. While the numbers speak volumes, it’s sad to see all the abandoned bikes tagged for removal before they are mercilessly pillaged. Any way you look at it, there are just a lot of bikes. Expect to a see a full spectrum of bicycles in this bicycle mecca. 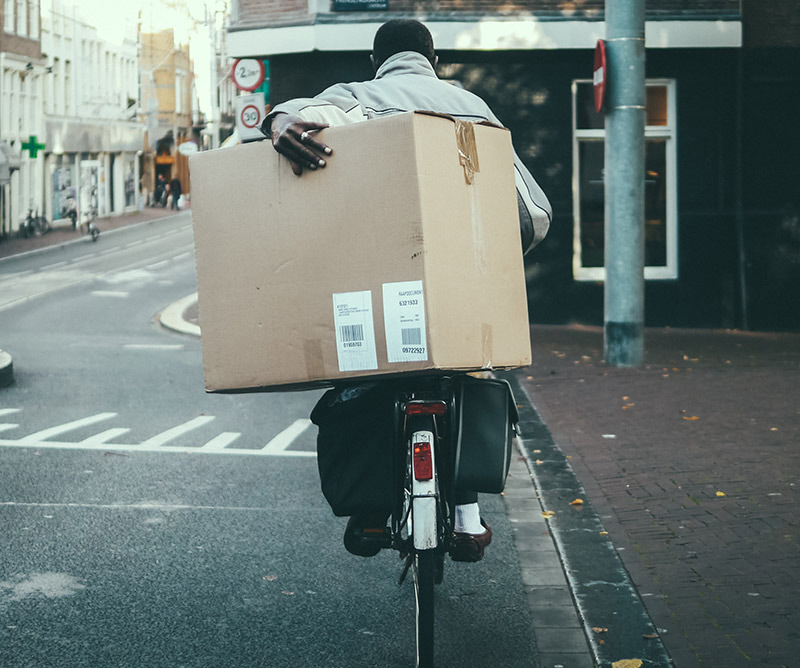 There are plenty of 3-speeds, 7-speeds, bikes with derailleurs, drop bars, Bromptons, Brompton knock-offs, among a multitude folding, recumbent, cargo bikes, fixies and toss in some homemade innovation for good measure. 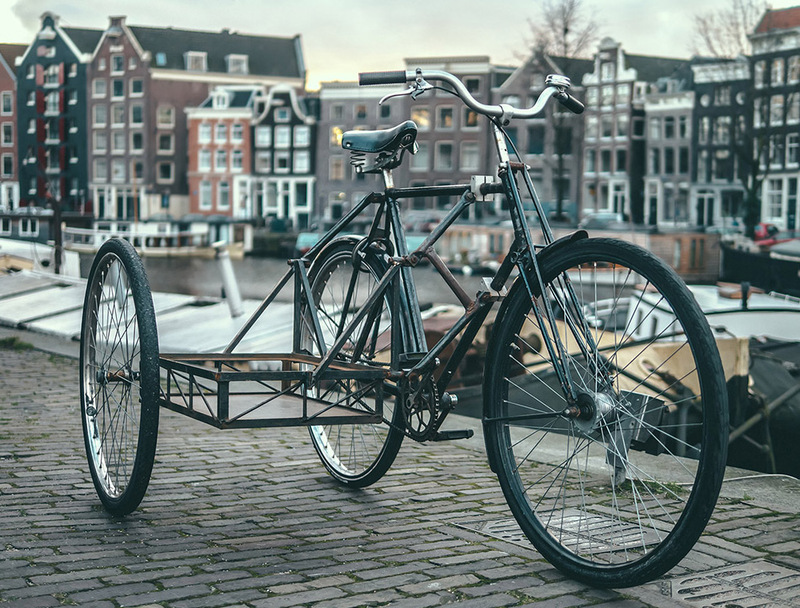 However, loop frame single-speeds with coaster brakes dominate the bike paths in Amsterdam. Many of the traditional Dutch single speeds date back thirty to forty years. Majority of the them cruising around town resemble a spinning toy top before it topples in a violent last thrash. Gyrating fenders, wobbling wheels and busted tail lights are the trademarks. Everyday the ear is introduced to a new chorus of pings, knocks and grinds. Regardless of any shortcomings, if the bike can roll, locals will ride it. For many first-timers to the city, this observation could be the most obvious. The fact that nearly no-one wears a helmet while riding a bike. That’s not to say that you won’t see them. They’re about as common as spotting a vintage Volkswagen punch buggy. 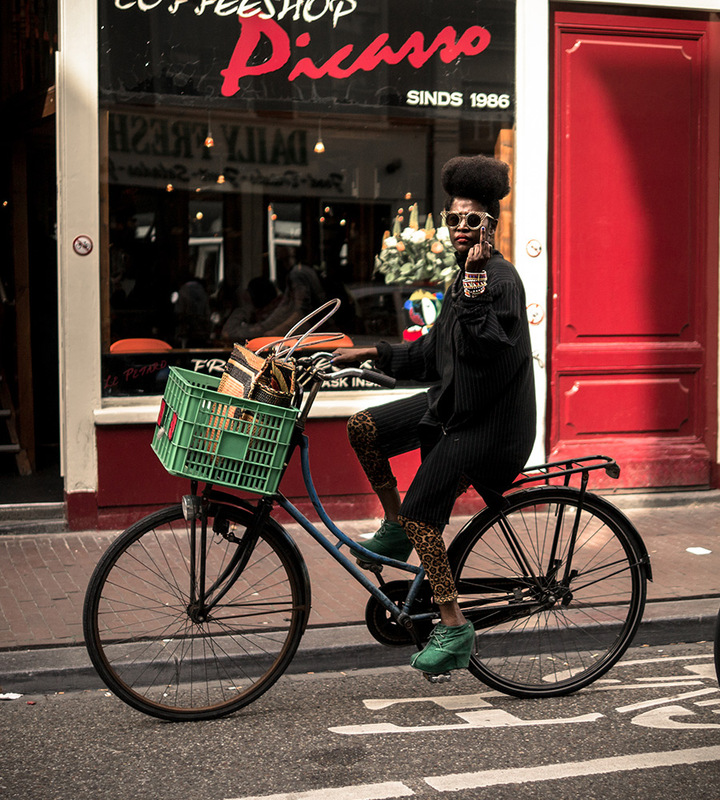 Nearly no-one means Less than 1% of bicyclists in Amsterdam wear a helmet. So who makes up this minuscule number? Excluding those who ride for sport, cross-country trekkers and British tourists, this group likely consists of phobic expats and possibly those who lost a bet. But remember, if you happen to see one, belt the person you’re with in the shoulder. Approaching a roundabout for the first time felt like a game of Russian Roulette. Even if it is the law, why would cars yield to me? But they did and it felt like I had just parted the red sea. 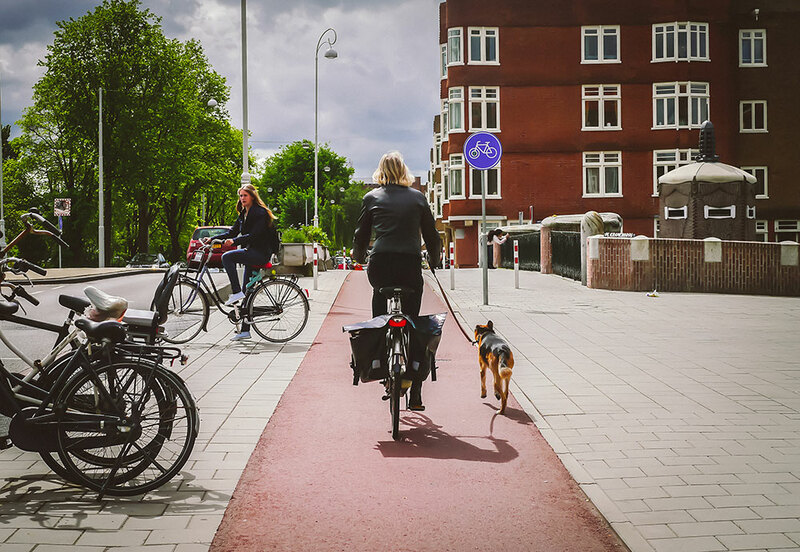 But one of the best experiences of exploring Amsterdam is what I call the “Dorothy Effect.” Discovering a separated bike lane in an uncharted part of the city feels like finding the Yellow Brick Road in the Wizard of Oz. Pure riding bliss. The sheer variety of bike paths lends credence that there is no rubber stamp solution to moving people. 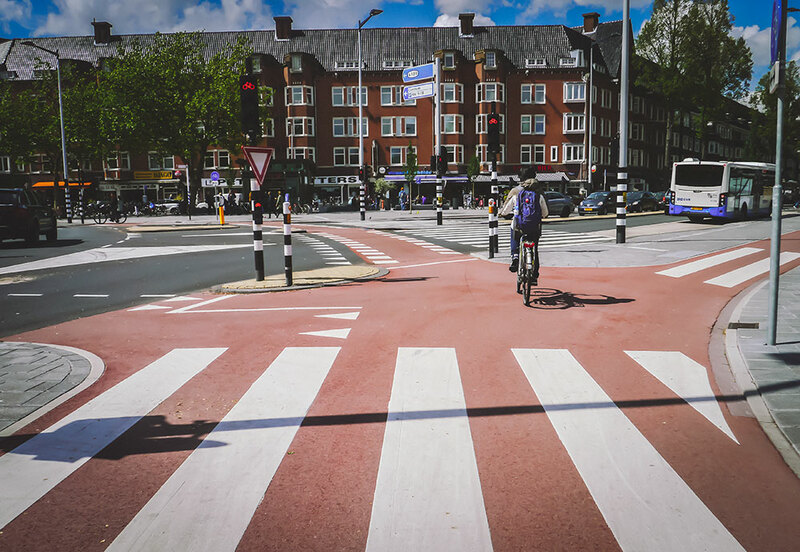 There is certainly a remarkable level of ingenuity involved in the urban planning that makes Amsterdam one of the best bicycle friendly cities on the planet. My initial thought was that car drivers in Amsterdam have a sixth-sense. How else do they avoid all the people on bikes? But I came to accept that it’s just common sense, one that has likely developed over time. 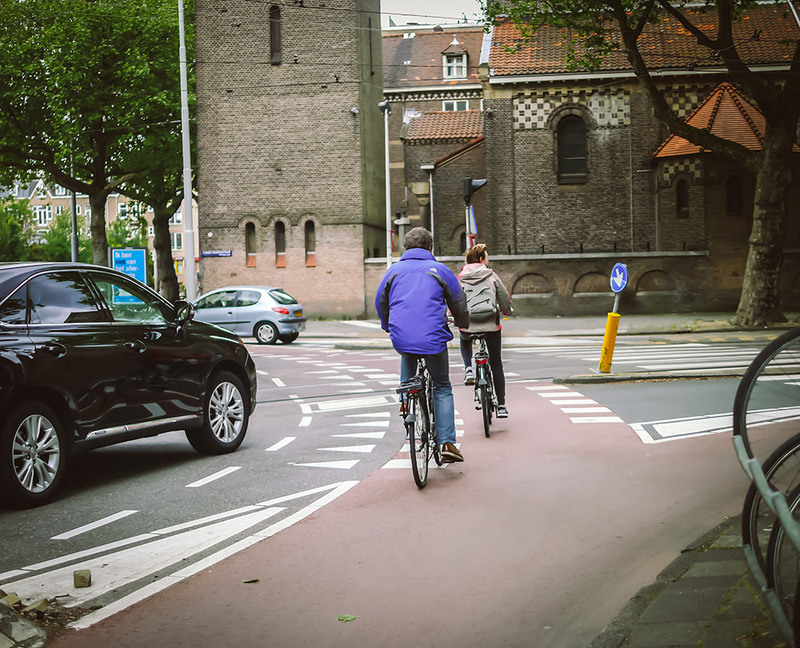 Separated lanes for bikes and cars plays a significant role in avoiding one another. However, this isn’t always the case. 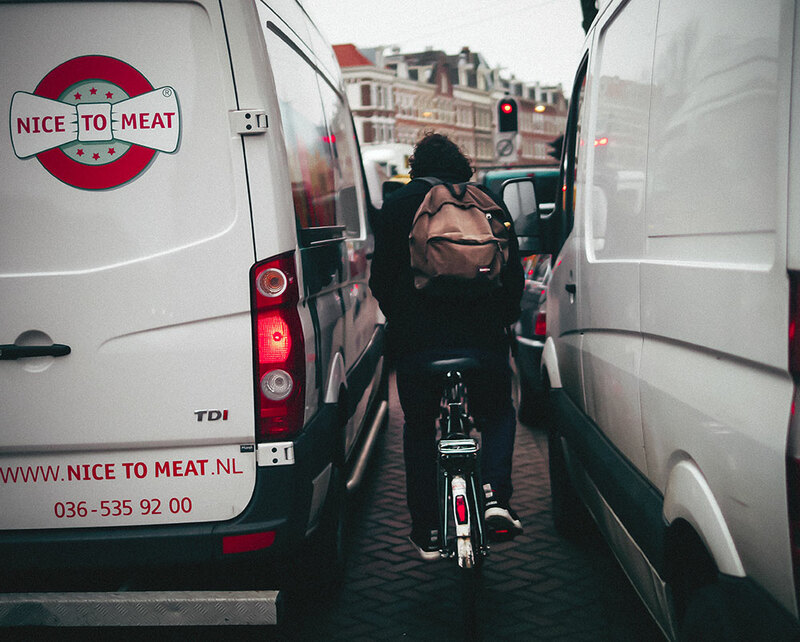 There are plenty of instances where cars and bikes squeeze together to share the streets. But all without incident. It’s noteworthy to mention that motorists have far less angst towards bicycles compared to those in Toronto. They don’t take liberties and there is no us-against-you mentality. They routinely exercise patience while having mutual respect for their fellow citizens on two wheels. For the first few months, I felt like I was forgetting something. After arriving at my destination, locking my bike and scrambling through my pockets, I realized I wasn’t missing anything. But in fact had acquired something everyone needs. Time. Credit must be given to the wheel lock. All bikes in Amsterdam have them. 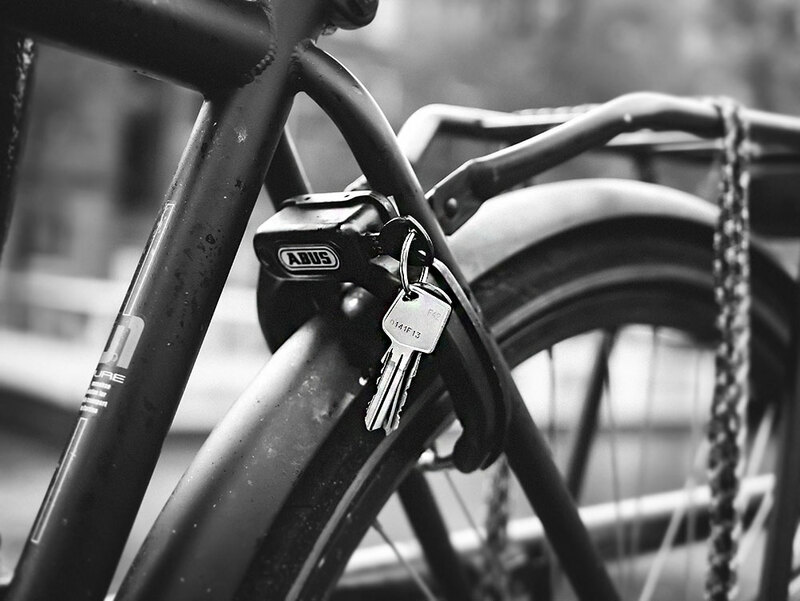 But what makes them special is that you don’t have to lock your bike to anything. Just pull out they key and leave the bike on the spot. Of course this won’t prevent someone from picking up the bike and walking away with it. But it’s enough of a deterrent if you just want to step into a cafe to grab a coffee or rob a bank. 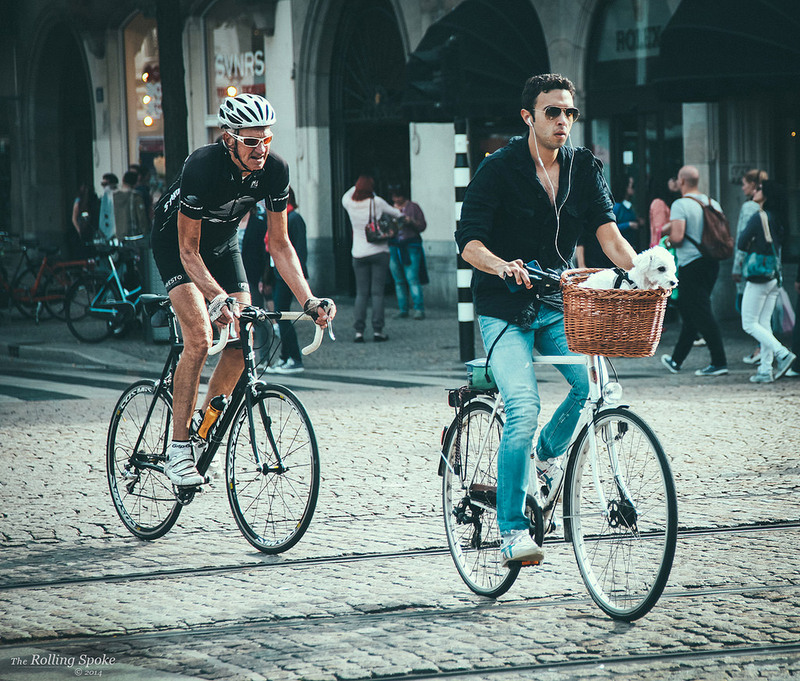 In certain cities, “some” bicyclists will go overboard on a simple 20 minute city commute. Much time and energy will be spent on a routine of preparation, outfitting themselves with safety gear and accessories as if preparing to appear on an episode of American Gladiators. This type of militant approach has been marginalized in the Dutch capital. The expression to dress for the destination and not the ride rings true. 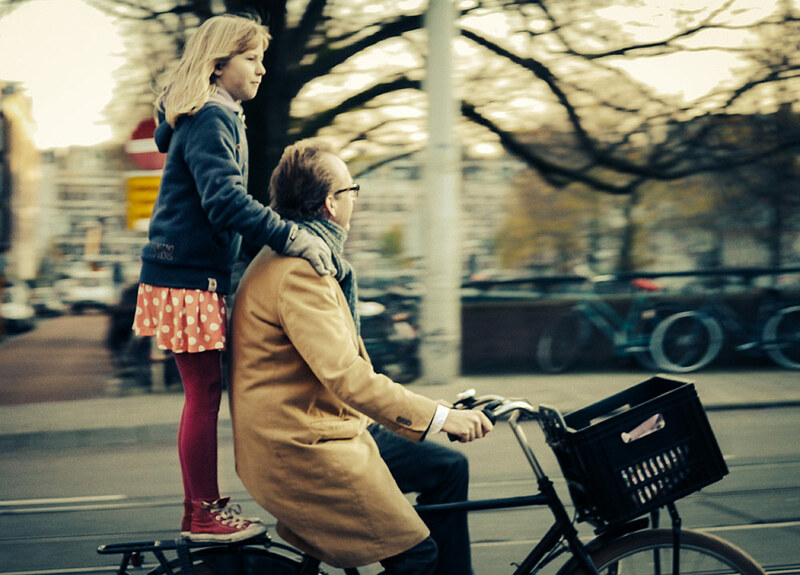 Amsterdammers don’t have a checklist for a simple commute, they just go. Though this approach can also translate to going through red lights and rolling over other rules of the road. But it’s all done with such fluid execution and without anyone lifting a brow, that going when you feel like it seems almost normal. Amsterdam has a reputation of having a progressive attitude that routinely practices social tolerance. Does this pragmatic approach resonate to the bike lanes? You bet! No one will chirp at you to slap on a helmet, make suggestions to remove your earbuds, snicker at how you carry something or shake their head in disbelief because your bike light doesn’t work. Essentially there is no carefully articulated criticism of what you’re doing as being irresponsible or stupid. 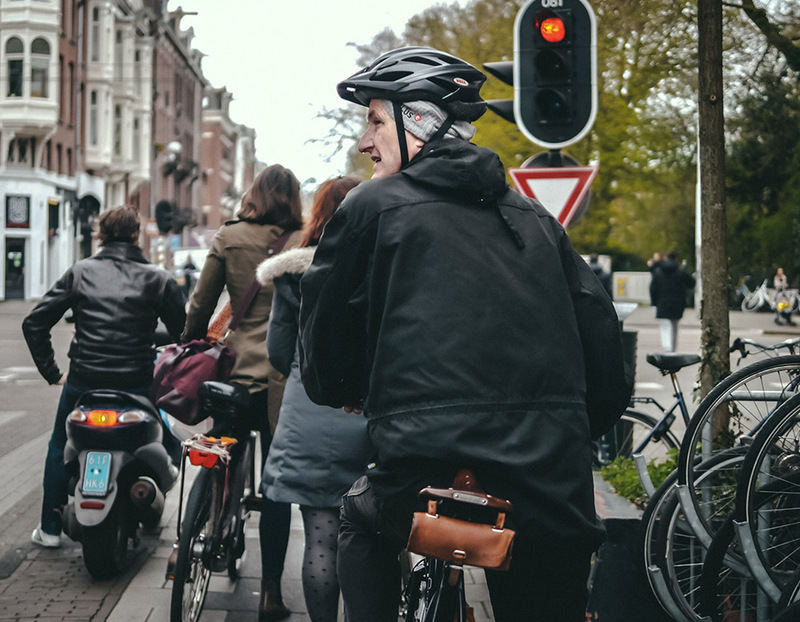 The lack of this kind of mentality in return produces a unadulterated lifestyle that serves to contrast the distinction between riding a bike and living with bikes. Having lived my entire life in Canada, I’m well versed on frigid temperatures. I know if my thighs can’t keep my testicles warm, then my extremities have long returned to the ice age. This usually happens at zero degrees (0 °C) on the celsius scale. 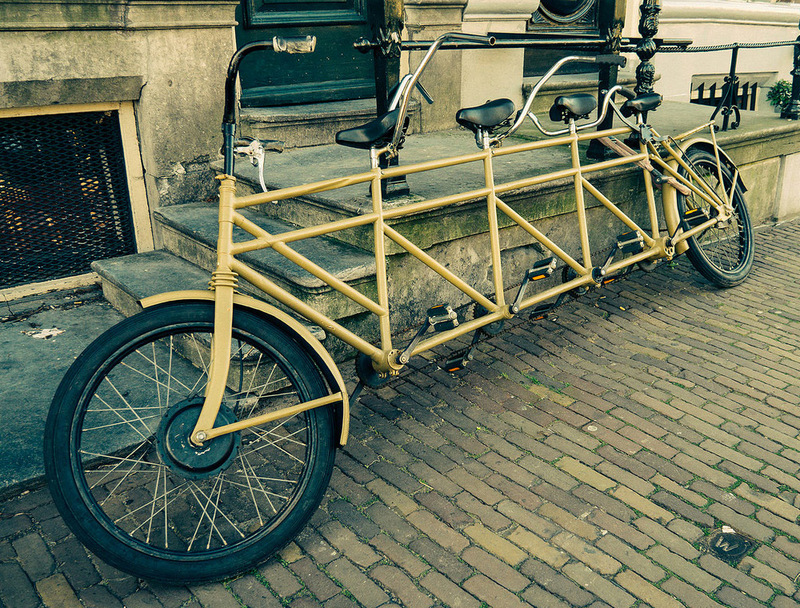 When it comes to riding together, all conventional wisdom is tossed into the canal. 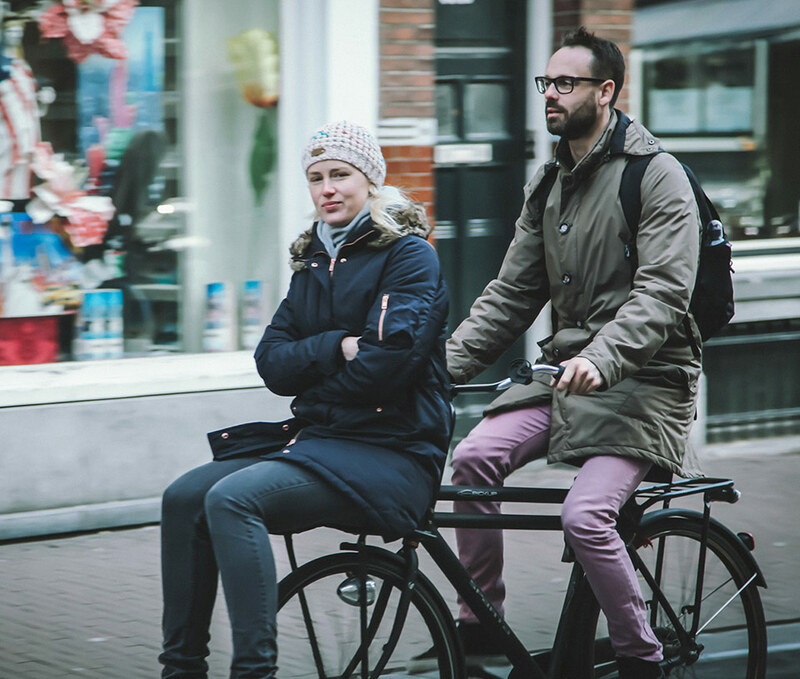 Bike paths in Amsterdam allow space for two while the left side is used for passing, but friends and couples will often ride side by side with remarkable synchronicity, even as they encounter bends and turns. 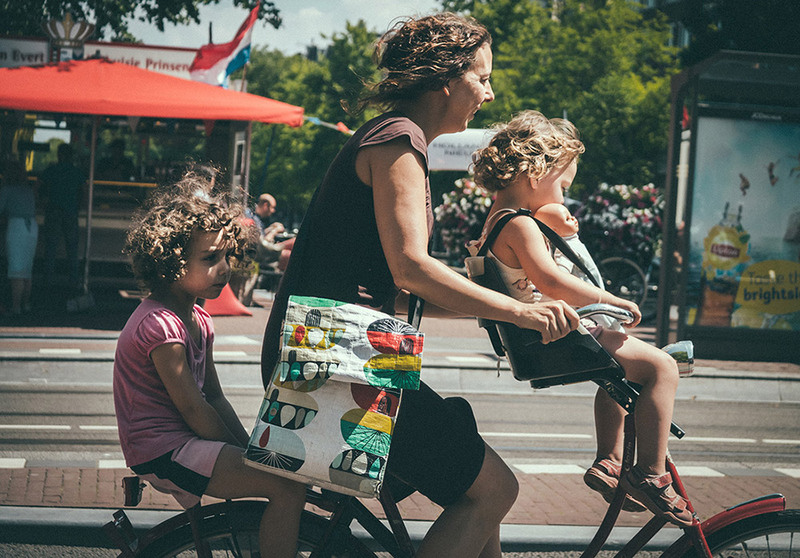 When the bell rings to end the day, parents will migrate to schools and plunk their kids inside cargo bikes, strap them to child seats or perform what could be described as a circus act and carry them in any way feasible. 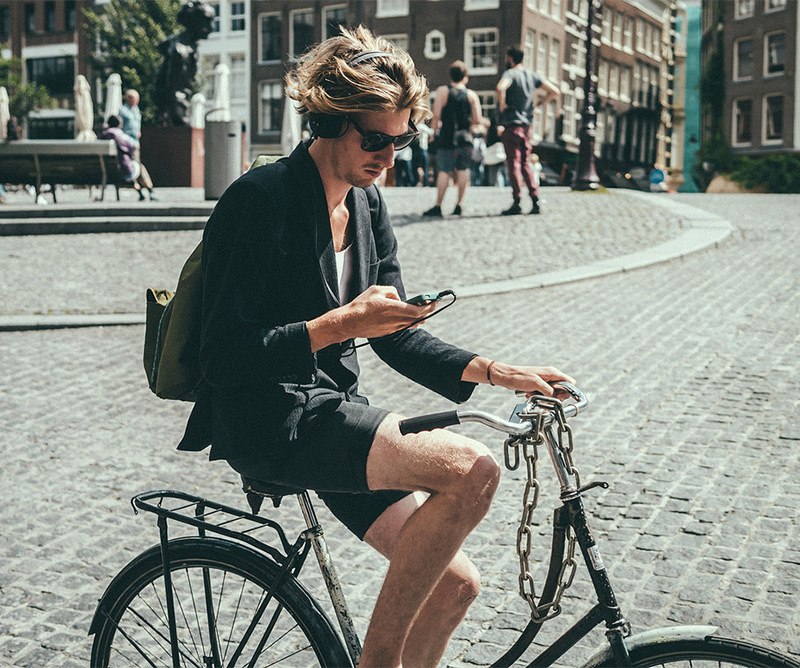 This approach is common among adults too, since all that is required is a horizontal surface on the bike in which to sit or straddle. While comfort may take a back to seat to riding your own bike, it’s a tiny price to pay for the practicality and convenience. 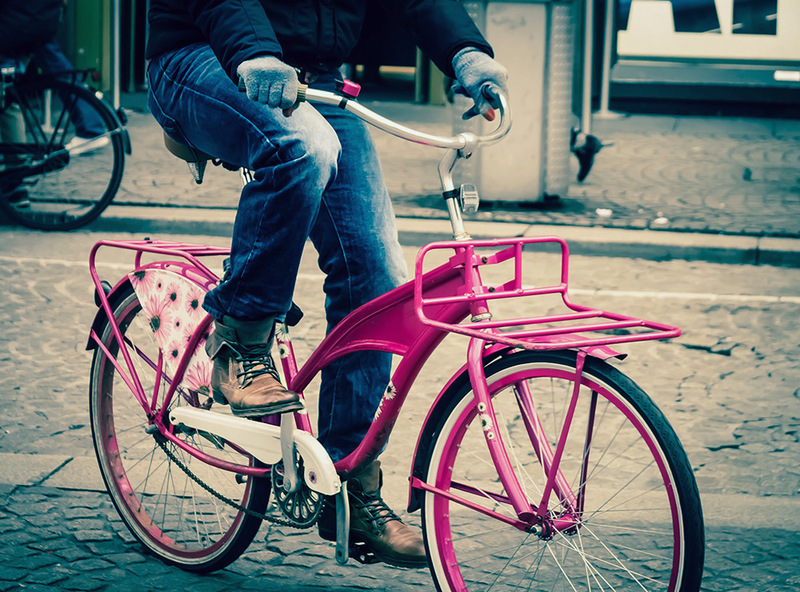 In North America, bicycles are much like cars in the sense that what you ride helps define you as a person. Especially in major metropolitan areas, there is an insatiable need to form an identity. 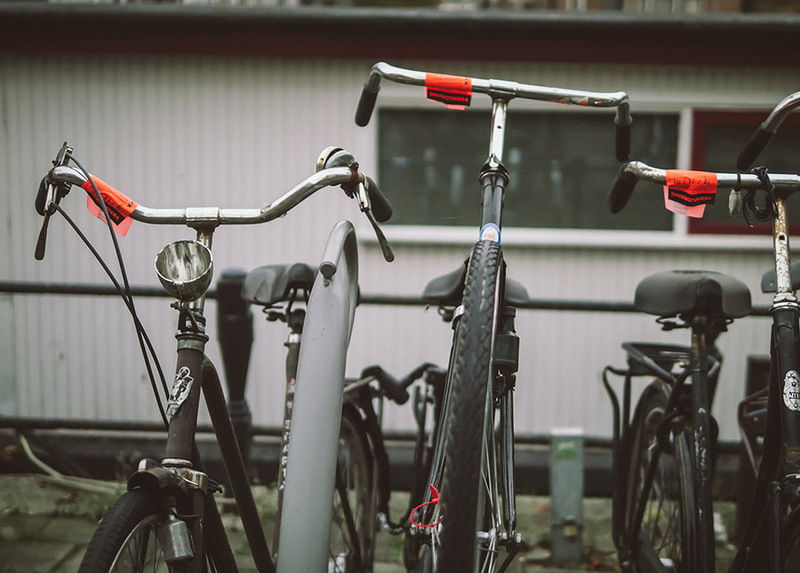 The cyber landscape is peppered with blogs and magazines dedicated to riding in style. In fact, riding a bicycle is not even required. There are photo shoots of people posing next to a bicycle or breaking into a strut alongside one on a runway catwalk. 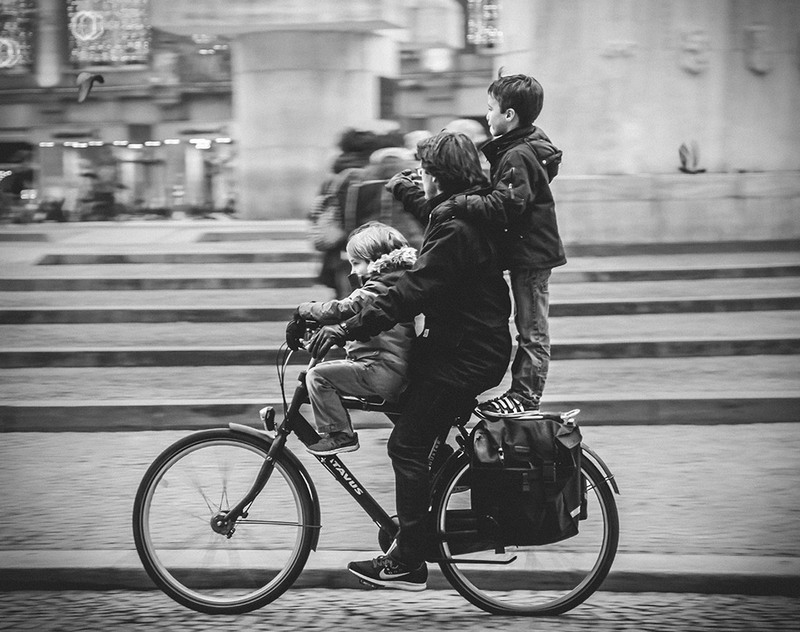 Bikes do not represent any kind of social status in Amsterdam. Even among fashionistas and hipsters, this sense of expression on two wheels is far less prevalent. The truth is that a bicycle has about as much novelty in forming identity as a box of detergent. 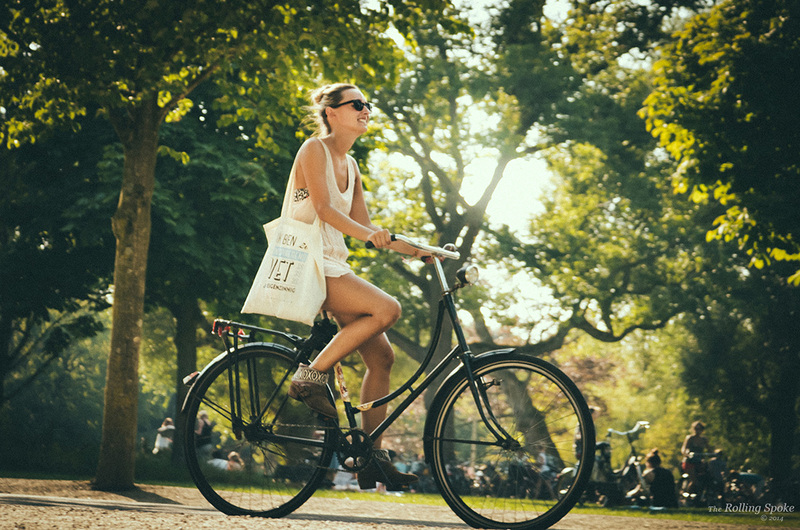 What is it about the bicycle that seems to induce an aura of happiness? It’s completely natural to wear headphones and whistle to a tune. It’s also common to see people sing, hold hands, make a phone call, carry on with conversations, have a smoke or eat a sandwich all the while in pedal mode. I often see these Tommy Foreveryoung stickers plastered around the city, mostly stuck on bike baskets. Though their inspirational quotes aren’t geared specifically towards bicycles, they do sum up the philosophy quite well. 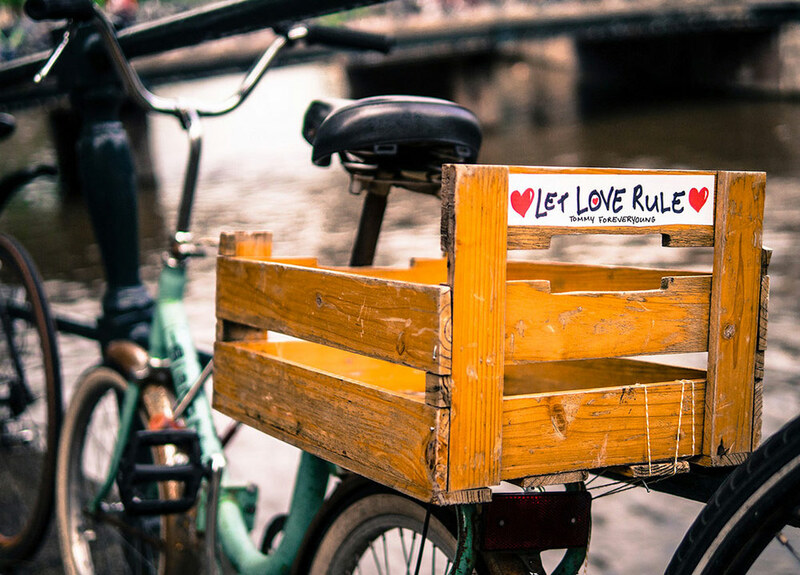 Ride a bike and let love rule. It is a bit of a mystery isn’t it? I wonder myself. I can only guess that since people have more than one bike, that at some point one of them gets relegated to a beater bike status. But I agree, there are too many orphan bikes. As for the ones that end up in the canal, I’ve only heard stories but its near the top of my list to get a shot of someone plunging into the water.